Cardio exercises are highly recommended for both a good state of health and burning those stubborn fat deposits that don’t want to leave your side. But cardio is not a magic training routine, it requires effort and dedication and it only works when done right. This is why it’s important to know the pros and cons of each type of cardio exercise you try – this is the only way to success. 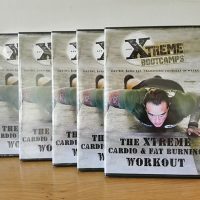 According to specialists there are three main forms of cardio training: steady (low intensity, long duration), HIIT (high-intensity training), and metabolic conditioning (CrossFit). But which is the best for you? To help you out, we’ll go through several machines and exercises and talk about pros and cons for each. HIIT comes from High-Intensity Interval Training and it consists of a combination of cardio and strength exercises, completed at a fast pace, in short intervals of time with a few seconds of break in between. According to exercise psychologists from the University of Virginia Exercise Physiology Core Lab, HIIT can be more beneficial for the body than cardio alone because it also involves strength training. The hype on HIIT is that it builds strength while burning fat and pumping your heart. You work different muscle groups during one HIIT workout and you have to perform all exercises at near-maximum effort. The combination of spike and stop patterns help improve cardiorespiratory endurance and caloric consumption during the exercise and afterwards. HIIT exercises can be done both at home and at the gym, but in many cases they require some accessories such as dumbbells, sandbags, or stretch ropes. Rowing is great for a full-body workout and the machine creates a realistic feeling for the activity (just like rowing a boat on water). A rowing machine allows you to work at different levels of difficulties so both beginners and people who want more out of their exercise can try it. This is a fantastic cardio activity that can be both relaxing and physically rewarding. First, it’s a whole body exercise, and second, there are a number of different techniques so you can mix and match to keep things interesting. Finally, swimming works the back muscles, giving them a lean and beautiful aspect (which is difficult to reach with other exercises). Not to mention that you’ll burn plenty of calories while having tons of fun! If you’re looking to strengthen the muscles in your legs and bum, a stair climber machine is a perfect choice. It might not look like a physically demanding exercise, but depending on the setting you chose, it can be a lot of effort (and increase your heart rate significantly). The cool thing is that you’ll feel the exercise working every muscle in your legs, and even if it’s not a high-intensity routine, you can end up losing between 400 – 500 calories in an hour (based on a 155 pound person working at a moderate pace). The machine can be used just as well at home, and you can watch TV or read something to avoid getting bored. Spinning is a high-intensity cycling exercise that is designed to burn fat at a faster pace. Cycling on the other hand is better paced, and while it doesn’t produce fast results, it can be more fun in the long-term. You can do both activities at the gym or at home, but you’ll require a stationary bike. 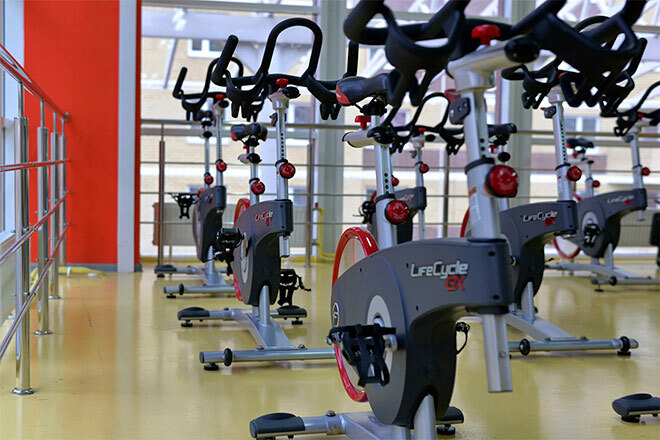 If you need a short-term solution, exercise bike hire is an option to consider. The best thing about bikes is that they don’t take up too much of your space in comparison to other equipment and some are even pliable so you can hide it away until you need it. Overall, cardio workouts are a must for anyone looking to reach their peak physical fitness. The equipment available today gives us lots of opportunities to achieve this at the gym or in the comfort of our own home. 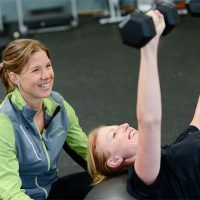 Choose activities that push your body, but be careful if you suffer from joint or back pain and take this into account when deciding on the method of cardio that works best for you. Claire is a health and fitness enthusiast who is passionate about researching the industry and educating those who have the time to listen. Should You Do HIIT Cardio or LISS Cardio? Choosing something that makes you move more is really beneficial. There are many hobbies out there. I would suggest HIIT body weight followed by 30-45 any activity you enjoy doing. We like skating, as you can enjoy it with whole family and keep you social too. But cycling, ice skating, swimming, hiking are the same. I still do resistance training at home with bodyweights and dumbells. I do my best to pay close attention to my heart rate when I hop on the elliptical to get the most out of it. Mixing it up a bit and trying a few different machines might make it a little more interesting. Thanks! Nice article. have enjoyed to reading this. there are many exercises to make you strong and keep your body healthy.